The countdown to PersoniFest 2019 is on! In just under 3 weeks our user conference will kick off in Savannah, Georgia, on April 7-10. It’s going to be packed with product training, sessions on marketing and growth, and of course cocktail hours, networking opportunities, and even a golf tournament. You'll also have the opportunity to earn more than 35+ CAE, CPE and CEM credits by attending sessions. Check out the highlights of this year’s conference in our blog, 3 Reasons You Need to Attend PersoniFest 2019. If you haven’t already booked your ticket, click this link to take advantage of the Early Bird price of $99 before April 4. If you don't have a discount code, please email skhosla@personifycorp.com. Situated on the banks of the Savannah River on Hutchinson Island and near the Savannah Convention Center, the Westin Savannah Harbor Golf Resort & Spa is just a short ferry ride away from the Historic District. If you’re looking for a place to stay during the conference, you can book at the special room rate at the Westin Savannah Harbor by clicking here — but book soon, this discounted group rate ends on March 28! Take a break from the conference and let the Wild Apricot Payments team treat you to dinner and drinks at one of Savannah’s best restaurants! Meet in front of the Westin Savannah Harbor hotel at 7:00 pm and enjoy an open-air trolley tour of Savannah on the way to Prohibition Restaurant and Bar. We'll kick off dinner at 8:00 pm and be back to the hotel just after 10:00 pm. Have you used the new attachments feature yet? Depending on how you choose to set it up, you can allow members, registrants, visitors, or admins to view or upload documents and images in online forms. There are dozens of ways to use this — for exhibitions, club rankings, professional accreditation, and more. Here are your guides to using it. My name is Shawn Klerer, and I’m delighted to be taking on the role of General Manager. Dmitry Ivanov, our previous GM and co-founder of Wild Apricot, has done an incredible job developing the software over the last 18 years, and has decided to move on from Wild Apricot to spend some well-earned time with his family. We are very grateful to Dmitry for everything he has done and for his strong leadership, and I’m sure you’ll join us in wishing him the best in his new chapter. I’ve been with Wild Apricot since 2016, and as of March 2019 I’m heading up the Wild Apricot team as GM. Going forward, I will be providing you with these monthly newsletters. Be sure to add the email address newsletter@wildapricot.com to your safe sender list so you don’t miss out on any updates — you can find instructions on how to do that here. This is an exciting time for Wild Apricot — being part of Personify is bringing new opportunities for us to support our customers, such as in-person events, and we’re continuing to build and release new features that help your organizations grow bigger and better than ever. Why am I being asked to provide personal information when applying for a Wild Apricot Payments account? We are legally required to do so. Regulations that were implemented in 2016 pursuant to the USA Patriot Act of 2001 requires all US financial institutions to collect the driver’s license, social security number, and date of birth for anyone wishing to set up a merchant account. This is meant to combat money laundering, organized crime, and terrorism. Providing this information does not make you legally responsible for the account or for your organization, but simply establishes the identity of the person setting up the account. For more information on setting up a Wild Apricot Payments account, click here. I’m trying to add a gadget to a page but it's grayed out in the gadgets list. Why? Certain kinds of gadgets – we call them singular gadgets – cannot be combined with other singular gadgets on the same page. So, if a gadget appears grayed out in the gadgets list, that means it’s a singular gadget and the page you are editing already contains a singular gadget. Singular gadgets include the following: Blog, Discussion forum, Donation form, Event calendar, Forum summary, Membership application, Member directory, Photo album, Subscription form. For more information on inserting gadgets, click here. We have a custom domain and we have email addresses that use it. Can you add another email address for us? If your Wild Apricot site is using a custom domain like whatever.com, any email addresses that use your domain (like info@whatever.com) were set up by the same company that sold you your custom domain. Wild Apricot cannot help you change those email addresses or create new ones like them, but your domain provider can. If you’re not sure who your domain provider is, click here then enter your domain name and click the Search button. Within the search results – or further down in the Whois Record – look for the name of your registrar in the Registrar field. Content marketing expert Tatiana Morand will show you how to create a growth engine for your organization built around content, so you can attract new contacts and members while you sleep. You’ll learn what types of content are worth your time and what types you shouldn’t bother with, as well as the tools you need to ensure you get a positive return on your content investment. Here’s an all too common scenario. You work at an amazing nonprofit organization. You find a company whose values align perfectly with yours. And you know if you just had the opportunity to sit down and talk to them, they would agree. But there’s just one problem. How do you get that meeting? 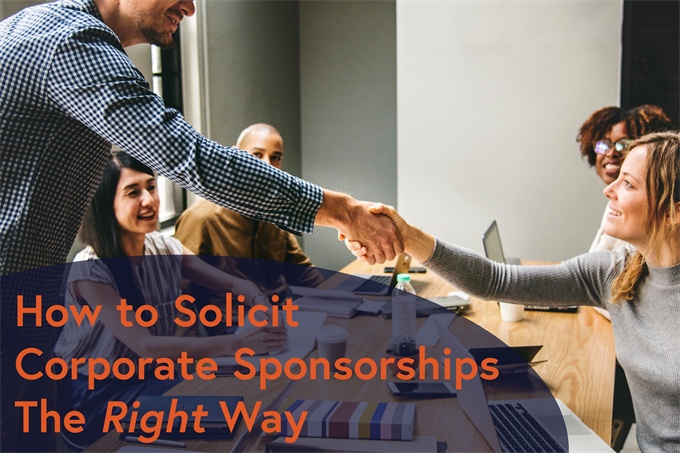 Here are three tips to help you get your foot in the door and on your way to sponsorship success. The Professional Association of Volunteer Leaders - Ontario (PAVRO) helps build individual, organizational and community capacity to effectively engage volunteers through the professional management of volunteer resources. The website features professional development webinars, career opportunities, information on awards, and a section dedicated to their annual conference. That's all folks! Have a great month and we'll be back with more updates in April. Cookies disabled - please enable to enter comments.